So, you have an awesome business idea? You are ready to get started building your business, but you don’t know how to get started. You grab a generic “Start your small Business” textbook. You then dive right into the reading material knowing full well that you are going to be getting a whole multitude of amazing and useful information that is going to help you succeed, right? That is what a business textbook is supposed to teach you! You read page after page hoping to discover some golden nugget of instructions to help you obtain your goal. However, that is most likely not what you are going to read. You’re probably going to read an incredibly boring and dry course on how to write a generic business plan, outlining how to spend the next weeks or months researching on every aspect of your industry, then the textbook will explain how to hire experts to handle the different needs of your business, and the many legal issues that your business might possibly some day maybe come across. After several chapters, your reading has led you to believe that your goal is going to be extremely difficult and maybe impossible to ever reach. 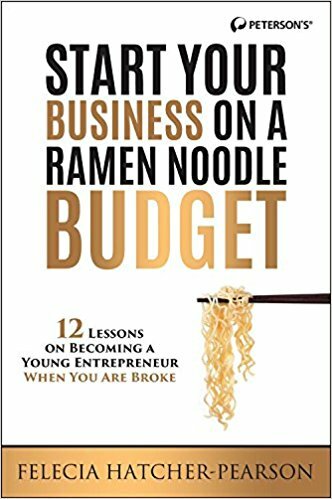 In just a few pages of white pages and typed words, you realize that you can’t start a business unless you already are a successful business person and you will need at least $100,000 in capital to even follow through with some of the preposterous steps that the book mentions. I don’t know about you, but I don’t want to read 300 pages of boring text that take away my desire to dream. These types of books make your dreams seem further away and even harder to reach. If you are reading a book that is discouraging and dimming your dream heck even educating you out of your dreams and making your business plan seem unattainable then that is not the book that you need to be reading. Honestly, you will have enough outside pressure doing that on a regular basis. I would much rather read a book that gets down to the basics of business building. I want a quick crash course just to get me started (Hello Youtube University 😂). Many books are filled with fluff, ramblings and information that few entrepreneurs need. I don’t care to read page after page of information that leaves me defeated and insufficient. I want to read something that leaves me feeling extremely confident and ready to seize my dream! I want to feel like my dream, my goals, and my business idea is something that could actually be a reality. That is why I wrote my book. I wanted a crash course of all the important principles that are needed to start a business. My book to be designed specifically for new entrepreneurs and future business owners who have unique business ideas and those who really want to turn their ideas into action and then action into reality. I really wanted to write a book that was written by somebody who has “been there.” I wrote from my own personal experiences, because I once was a “want-to-be-entrepreneur”. I used to be at the starting line of my dreams. Now, my dreams have become a reality and I am fulfilling my goals. I turned my business idea turned into action. I have learned a lot through my experience and I wanted to help other people get through the obstacles that they undoubtedly will face. I wanted to help people get through their real life situations and give them the motivations to fulfill their dreams and achieve their goals. I personally stopped reading textbooks that discouraged me, because they were dragging me further from my dream. If I was led to believe that my goal wasn’t reachable, then I am going to be less confident in my business ideas. I am not sure why business textbooks are so interested in making people feel overwhelmed. I want to feel motivated and inspired. Therefore, I want to encourage everybody to put aside any “Start a Business” textbook that they are reading if it’s making them feel like their goal isn’t possible. Your dream IS possible and you CAN achieve your goal!